Denise Cox is President of Storm Energy, Ltd. where she is responsible for evaluating projects and partnerships for the company’s oil and gas portfolio. Ms. Cox began her petroleum geoscience career with Marathon Oil Company at the Denver Research Center. During her 20-year career in Marathon’s research, production, and exploration offices she specialized in the application of new technology to carbonate petroleum reservoirs and later the evaluation and development of unconventional reservoirs. She is currently interested in sustainable development and data analytics to maximize recovery of reserves in new and old fields. Denise Cox received her B.S. with Honors from Binghamton University and M.S. from the University of Colorado. She is an AAPG Certified Petroleum Geologist and licensed geologist in Wyoming. Ms. Cox is President of the American Association of Petroleum Geologists and Past-President of the Association for Women Geoscientists. 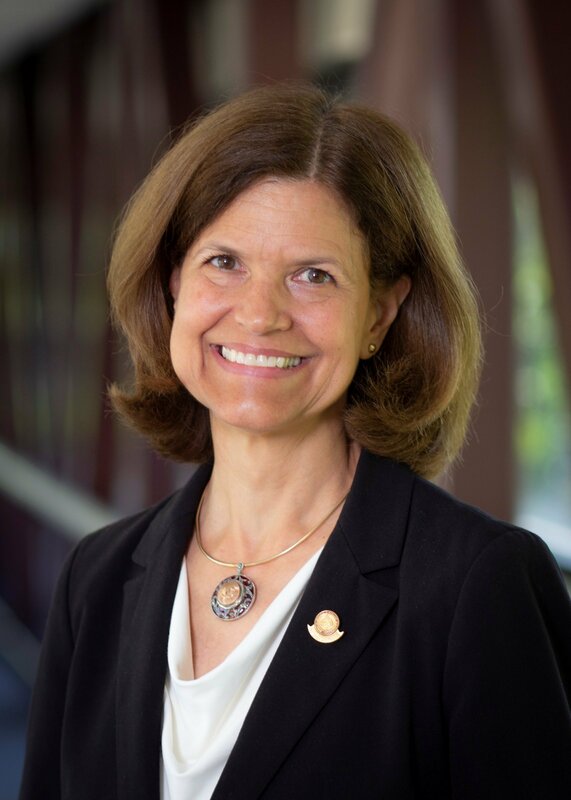 She has held leadership positions on numerous geological society committees where she is best known as a geoscience “connector” and for her outreach activities with students, young professionals, and women. 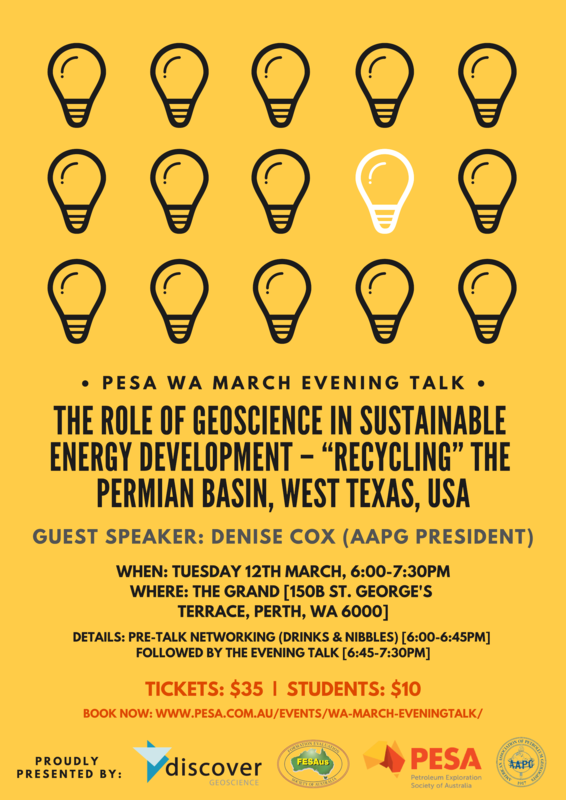 PESA WA invites you to our March evening talk with guest speaker Denise Cox, president of the American Association of Petroleum Geologists (AAPG). If you are interested in geoscience and want to know more about the role it plays in sustainable energy development don’t miss out on this talk! 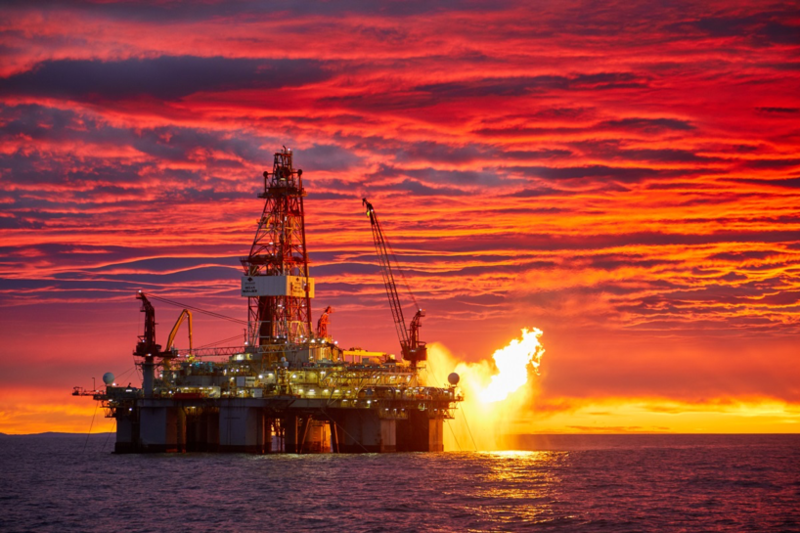 In petroleum systems, sustainable energy development can be viewed in terms of a sedimentary basin’s diverse resource and potential to produce hydrocarbons indefinitely dependent on the geology and application of technology. The Permian Basin is a prototype of a “recycled basin.” Production time slices of wells drilled in the Permian Basin of West Texas over the past 100 years overlain on structure and coded by stratigraphy document how the basin’s petroleum resources were discovered and developed. Historical knowledge of the play concepts, enhanced recovery methods, and drilling and completion technology illustrate how data and analytics can be used to learn from a petroleum basin’s past, understand the value of current projects, and make projections about a basin’s future resource for sustainable energy development. Date: Tuesday, 12th March 2019 [6:00-7:30pm]. Venue: The Grand, 150B St. George’s Terrace, Perth, WA 6000. Ticket includes pre-talk networking (drinks & nibbles) [6:00-6:45pm], followed by the evening talk [6:45-7:30pm].